It looks like the Samsung Galaxy Tab (7" Android slate tablet) will be available on every major US wireless carrier. You won't need a MiFi to get online either. 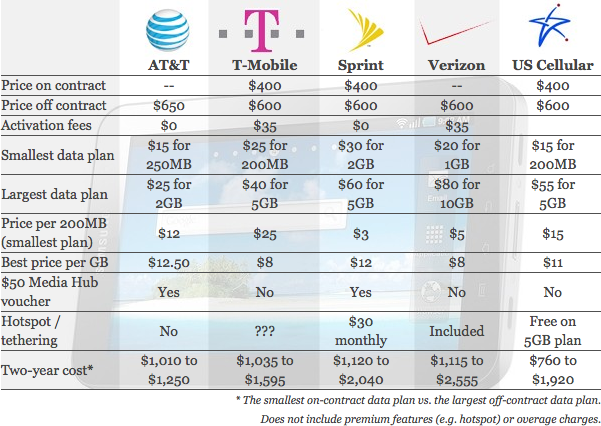 The following image is from Engadget where they cover the "Samsung Galaxy Tab price wars: US carriers face off."